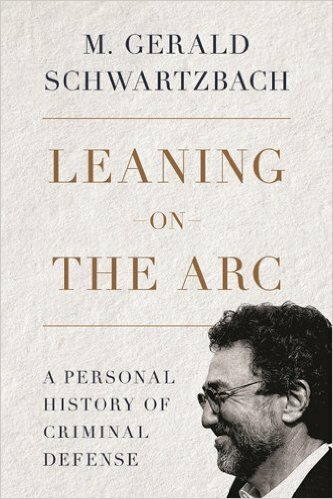 I know it’s short notice, but I wanted to quickly share that Gerry Schwartzbach will be at the Los Angeles Times Book Festival this Sunday, April 10, discussing his new book, “Leaning on the Arc.” As you may know, Gerry and I have worked together on many trials, and I consider him one of the best attorneys I have ever worked with – and I’ve worked with a bunch. Gerry has successfully represented many high-profile clients, including Robert Blake, Marshawn Lynch, and Dr. Hootan Roozrokh. I am currently reading the book, and can tell you it is very interesting and entertaining. Plus, you might even find yours truly, mentioned in chapters 9 and 10.